It's an Auction. It's a Store. You want Offers you say? The GLE Tech StoreFront is all of these! Simply put, the GLE Tech StoreFront is an online software suite hosted on our servers that creates your website and blends together any combination of these popular tools for selling any type of product on your website. eBay isn't just an auction site anymore, and neither is the GLE Tech StoreFront. 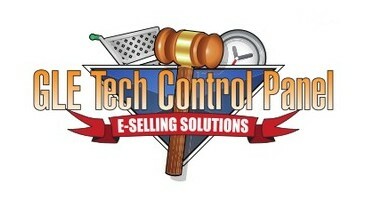 For over a decade GLE Tech has offered both Auction and Online Store software to our clients. With our release of the GLE Tech StoreFront in mid 2013, GLE Tech now offers one highly customizable software suite that can be an Auction, an Online Store, or both. If you need more than an off the shelf solution, custom features can easily be added to your GLE Tech StoreFront. The absolute best thing to do is to call us. Every seller has different needs. We are always glad to have a conversation to see what we can do for you. We can be reached at at 239-634-2172, Monday to Saturday, 9 - 5 PM Eastern time. In 2018 The GLE Tech Storefront platform was upgraded to use Solr for search and category navigation. This is a significant upgrade, allowing us to host much larger sites like RookiesHQ with 600,000 items in inventory, and do faceted suggestions in search results, like Ultimate Cards And Coins 2018 Baseball Card inventory. eBay style bidding with starting bid, reserve option, registration with password. Customers can purchase with Buy Now or through a Shopping Cart, paying with PayPal checkout or other payment options. Any listing can entertain offers from the buyers. Offers can be accetped, declined, or countered by either party until complete. 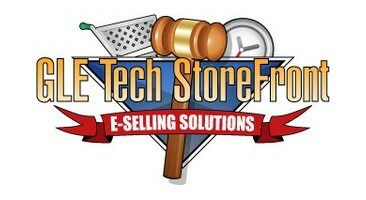 When the GLE Tech StoreFront is configured for a Single Seller it is exactly that. You are the seller, everyone else is the buyer. The best part is that you can sell all you want with no commissions! GLE Tech only charges a monthly fee for hosting. The GLE Tech StoreFront can be a community just like eBay. You as the site owner can allow anyone to post their items, and you can charge fees for listing and commissions on sales. The GLE Tech StoreFront Search Engine Optimization tools allow you the control Meta Tag settings for the Page Title, Page Description, and Keywords on every page and category of your site. Our flexible software displays your properties in an online catalog with options for absolute auctions, reserve auctions, pre-bidding for live auctions, offers, and buy now pricing. Since 2003 GLE Tech has been providing Online Charity Auction Sites for fund raising. We guide you every step of the way! Your site will be customized with your content, terms, and auction listings. We have recently completed a custom site for an auto dealer where their auctions are created in part by decoding a Vehicle ID Number, extracting the information about the vehicle. An incredible time saver! This is an example of custom coding to meet your needs. 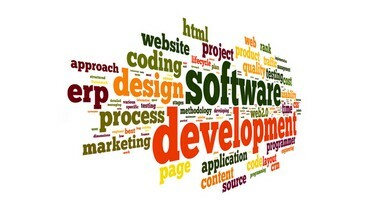 The GLE Tech StoreFront is flexible software with many options available to operate in different environments. Your website can be a straight auction, online store, catalog, or any combination of those. You can be the only seller, or you can be a community where some or all of the members have the sell as well as buy. Your website content, logo, and design is easily incorporated into the existing templates and style sheets. You can add as many extra pages as needed. Take a look at the Top Sites using our software and notice that even though they are all using the same software, they are all individual sites with their own purpose or business model. Customization is always possible with the GLE Tech StoreFront. There are built in features that collect extra registration fields or store extra item information. With that data our team can design custom listing templates to display any item or product (Real Estate, Vehicles, Horses, Livestock, Commodities, Sports Cards, to name a few), registration forms, or code the software to add functions, or make existing functions work the way you need. The Members Area, similar to My eBay, contains all the tools for buying and selling. Members of the site can be sellers, or only buyers, depending on whether the GLE Tech StoreFront site is a single or multiple seller site, and how the GLE Tech StoreFront site is configured. For single seller sites, the site owner has a member account and is the only selling member on the site. All GLE Tech StoreFront sites are maintained by an administration tool where all templates and settings are managed. This GLE Tech StoreFront Site Manager also manages all members of the site, as well as invoicing for multiple seller sites that charge fees to their members.